I love my tattoo and I hope you end up loving yours, too! Please take the time to learn about tattoos before going out and getting one. Choosing a tattoo can be stressful because it's so permanent, and making the wrong decision can be painful, costly and inconvenient. There are many factors to consider before making the final decision, including size, color, meaning, style and placement of the design, as well as the artist you choose to help you get the tattoo you want. The bottom line, however, is to take your time and get plenty of information about tattoos and the designs you might get before choosing. This article offers a few steps I've compiled for choosing your tattoo design and tips before making your decision. There are also links for more information and video and images to supplement your ideas. The information here is presented based on what I consider most helpful after my own tattoo-choosing experience not too long ago, and on what I've heard from other people as well. I love my tattoo and I hope you end up loving yours too! Please take the time to learn about tattoos before you end up with something forever. You can change or alter any design you find to base your tattoo on. You might only want a piece of a picture or you might want to change the colors. Tattoo artists are there to draw for you if you want . . . don't be afraid to ask for help on creating a design. 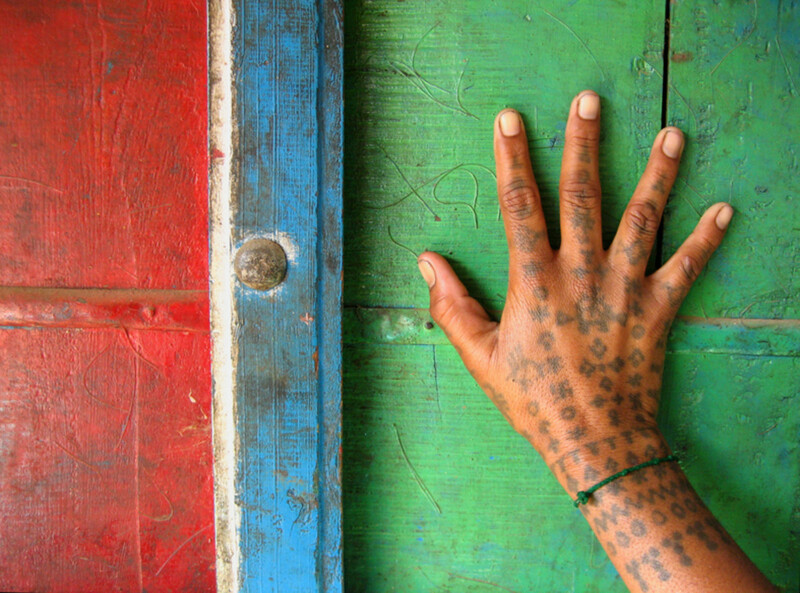 Consider how your tattoo would be perceived across cultures. Will it offend anyone? Does your tattoo symbol mean something bad to others? Of course, choose Asian characters wisely. Not only might your idea of what a character might mean be completely wrong, there might also be a double meaning or some other aspect to it. Don't trust the interpretations on the parlor walls. Think about the kind of tattoo or design you would have gotten 10 years ago and ask yourself if you'd like that now. If not, then maybe you shouldn't get a tattoo. Perhaps you're too finicky to choose a design you'll like in 10 more years. The No. 1 tattoo type that people want removed or covered up (besides homemade tattoos) are names! Unless the name is of someone dead or your child, then they're too testy to deal with! You might want to get a tattoo with another family member (friends might be too temporary to chance it) that matches or go together. You might also want a tattoo of a family symbol, such as a crest or last name. Your tattoo doesn't have to have a deep meaning. Don't be afraid to get a cartoon character if you really love it! It costs more to get foot, hand and face tattoos because they need more touch-ups and require more time and attention to heal. Some artists may also refuse to do these types of tattoos if the person doesn't already have tattoos in more visible areas. If you feel hesitant at all for whatever reason, don't go through with it! How long did it take for you to decide on a tattoo? Be sure to choose a design you like so you don't have to resort to removing your tattoo. Laser tattoo removal is very expensive, painful and time-consuming . . . and it might not even work completely. 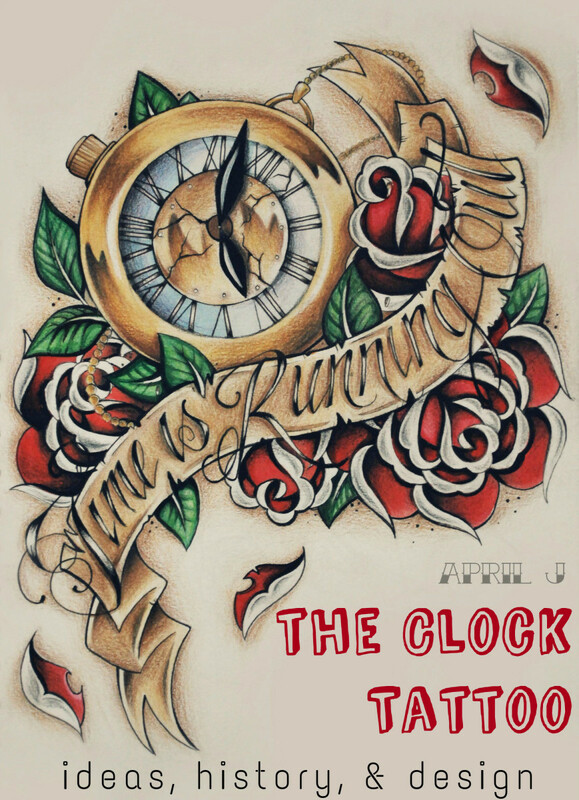 Remember: don't be afraid to take your time in choosing a tattoo design so you won't regret it later! 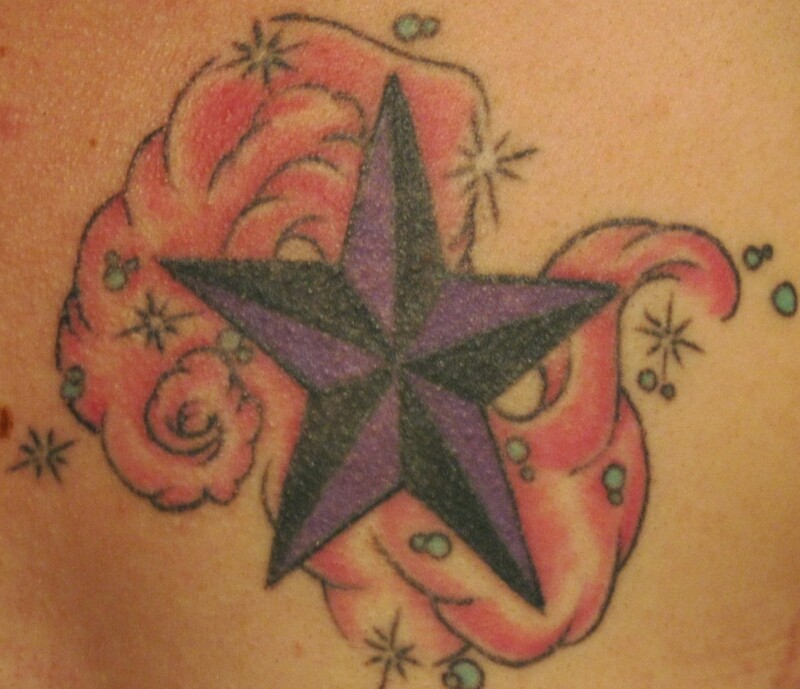 If you want a tattoo cover-up, it's cheaper than removal, but make sure you find an artist who specializes in it. As tattoos can become infected, make sure that you take special care and listen to what the tattoo artist says regarding care. Oftentimes they may offer a page of instructions for your reference. As you grow older, tattoos may lose color or quality and may require touch-ups, often after 10–30 years, though it depends on the area (certain parts of the body show tattoo wear faster than others). Using sunscreen or skin moisturizers can help retain the look of your tattoo. 1. Ask yourself why you even want a tattoo in the first place. Do you want to have something you love ingrained in your skin forever? Are you doing it for someone else? Are you happy you're old enough to get a tattoo without parent permission? Are you getting a discount? Think about each reason why and why not. 2. Consider if a tattoo will affect you in the workplace or other scenarios. It's most likely not worth losing a job over. Also see if there are rules against tattoos in other organizations your participate in, such as sports or volunteering. 3. Choose your design carefully. Make sure the design has meaning to you and that it is inevitably a reflection of the self. Thus, the design should represent something that you love, enjoy or are attached to. It may be in honor of another. Why are these things meaningful to you? Consider tattoos with writing even more. Make sure you know and understand the meanings of words, their origins, etc. If you're choosing a quote, make sure it represents you completely. Don't forget to pick the perfect font (or make your own) . . . typefaces create moods and feelings. Look at other tattoos and designs that exist already, though don't restrict yourself to what's already out there. Checkbooks, posters, stationary, stickers and anything else out there, not just the designs on the tattoo parlor walls. 4. Think about where you want it. The placement of your tattoo on your body is very important. Do you want it to show up every day or do you want it covered up most of the time for whatever reason, whether for work or recreation? Think about the clothes you wear, how your hair is worn and the activities you participate in and how they will affect how often your tattoo shows. You can try getting a printout of the design you are considering for your tattoo artist to recreate on your skin temporarily. Try getting a henna tattoo of the design you're thinking of before you get the real thing; henna is more temporary (lasting at least a week and up to a month) and, though you won't be able to get the colors and exact detail of what you want, you can get an idea of how it feels in a certain place at a certain size. 5. Choose your tattoo's color(s) wisely. Do you want your tattoo in black or gray? Do you want a full-color tattoo? White? Will the color fade faster in certain places on your body? Consider the pigment of your skin and how well the color goes with it. Be creative. Sometimes it just takes a little practice to draw your own design. You don't have to create the design yourself; you can ask a tattoo artist to do it. Many are conventional artists that can at least copy a picture you find that you might want to base your design on. They can also reproduce it onto your skin temporarily as well as redesign a drawing you do. How big do you want this tattoo to be? Think about where it's going and if you want it to show at all. How expensive will it be? Sleeves can cost up to $300! Consider what style of tattoo you like best, then find a tattoo artist that specializes in that style; even though many can achieve a wide range of looks, they usually have specialties. There are natural, Asian, black and white, comical and other types of looks to consider. The recommendations of others really help! Make sure that the artist you go to gets good props from former and/or current customers; don't just go to the nearest parlor. Look at tattoos people got from the place you're thinking about going to and see if they have the kind of look you're going for. Also consider prices. Try to get a quote before you get it because you don't want to be disappointed or angry once the tattoo is done. You may want to consider the experience the artist has. It doesn't hurt to ask. Finally, don't be afraid to take your time in choosing. The most important thing is that you yourself are happy with the finished product. Take as much time as possible! This is something I stress. I had wanted a tattoo since I was 10, but I knew I had to wait before I made my decision. I always thought I wanted a tattoo of my name in Korean characters and then settled on where I thought I wanted it. However, as the time approached for me to go and get my tattoo, I started to change my mind. I talked to others and looked at a lot of other tattoos before I found a design to base my tattoo on. By the time I was 19 and in the parlor, I had completely changed my mind as to what I wanted (though I still wanted only a black and white tattoo). It had taken me more than eight years to make up my mind, but I'm glad I took my time. This piece was a liajcfeket that saved me from drowning. This is a very thorough and well written hub. A good read for anyone thinking of getting a tattoo. I got a tatoo when I was 20 years old. The artist tried to delegate my color choices. I'm glad my best friend was with me to help me remember that I had a plan before I got there, so you are right about picking a tatoo artist. I also changed the location I initailly wanted my tatoo because it seemed because it made more sense to be on my shoulder inside of my hip. I didn't want eyes where they shouldn't be. Hey thanks a lot for the info! I've been considering a tattoo for two years now, but unsure just because I want the right one. This has definitely helped calm the nerves and made me think clearer. Greatly appreciated. Thanks for sharing the link, and congratulations on choosing a design! if there are more websites with many tatto designs kindly post. Very informative and useful hub. How easy is it to remove a tattoo especially those with many colors. I finally decided what tattoo to get... and i'm going to be getting it in about two weeks... finally got the nerves to make the appointment... I'm certain about everything... just hate needles... I will be getting a peacock on my ankle... any tips as to get over the fear of needles? Would definitely recommend this article for anybody considering getting a tattoo. Even with Laser surgry there is no guarantee that the skin will return to looking normal. rated this article Awesome and will be reading the rest of your articles soon. after reading your hub, mine seemed a little, y'know, shallow. so, i retooled and put a new one: tattoo: sacred skin. you could look at it an let me know what you think, maybe? also, i tried to link to your hub, but can't figure out how. this is a great hub! i'm kinda new and i am wowed by this content. you're gonna be my role model. thanks. y u even asking about what tattoo u whant at 8yrs old, if i even asked for 1 at that age i would'ov got a beat down from ma dad mate. I'm 8, would a should I get a tribal wristband on my right muscle or choose something smaller. I'm pretty sure I'm gonna like it wen I'm older caus my brother still likes his and he's 17.
this is so.. true.. had my back piece done 9years back.. had a prob with it the day it healed.. the ink didn't stay inside the skin (good design, good artist, bad machine and ink).. now i had this big cross leaning on my back with a blank spot of the jesus on it.. my frens said i'm the devil's son.. lol.. nice hub though.. think more than 2x before you do one.. lol..
"If your body is a temple, why wouldn't you want to decorate the walls?" Love this HUB. Lots of valuable information and advise! Great job on the HUB...lots of good advice...I have one similar but not as detailed with the videos! People wanting a tattoo should read this twice and take the advice - that way they're sure to decide on something they'll be happy with! Great info! This is bound to help those who are iffy about getting tattoos.